Moving with a pet, or considering getting one, but worried your landlord won't allow it? Considering hiding your pet from your landlord and moving in anyway? Doing so could risk your tenancy – and there are better alternatives. While a landlord cannot evict a tenant because they have a pet in violation of a 'no pets' clause in the rental agreement, he/she may have grounds to apply to evict you for having a pet, if the pet damages the property or bothers other tenants. It's true that renting with pets can be difficult, with many rental ads stating a landlord's firm 'no pets' requirement. According to a survey by Dogs Trust, 78 per cent of pet owners have experienced difficulty in finding accommodation which accepts pets; 54 per cent were never able to find a suitable property; and eight per cent had to re-home their pet – and that's despite almost half the population owning pets of some kind. However, landlords who do allow pets will usually find that it is easier to fill their properties and that once in, tenants stay for a longer. A new online tool called Lets for Pets highlights how the UK's landlords are at last becoming more open to letting properties to pet owners, with landlords in some parts of the country much more accepting than others. The tool allows tenants to input a city or town name and then shows the percentage of landlords who would definitely refuse a pet in that area. 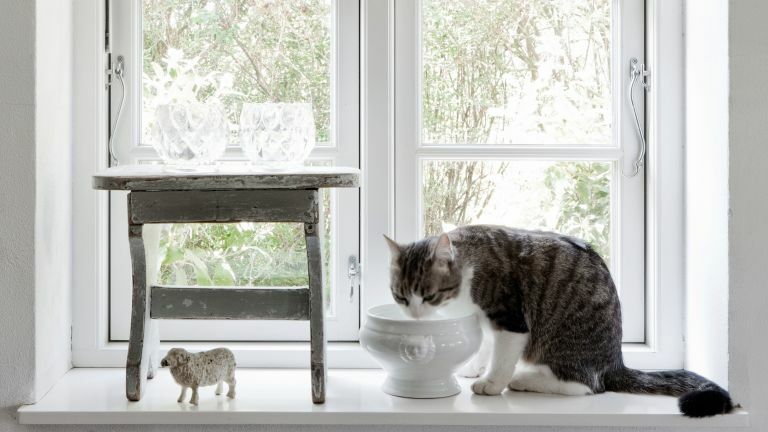 The UK's rental hotspots with the friendliest attitudes towards pet owners? At number one is Belfast, with only three per cent of the city's landlords unwilling to accept people with pets. Reading and Kingston-upon-Thames closely follow at four per cent each. Oxford and Southampton are also very relaxed about pet ownership (only six per cent of landlords in those towns would reject a pet owner's application), as are Leicester, Newcastle, and Manchester. The news is not so good for the residents of Newport and Carlisle, where an unfortunate 63 and 86 per cent respectively would not allow pets in their properties. However, if you do live in Newport and are willing to move, Cardiff is very pet-friendly, while Preston is pet-friendly for those who would consider going south of Carlisle. And, for pet owners who would rather find a pet-friendly landlord than read about statistics, there's a crop of new letting agents that advertise directly to pet owners – Lets With Pets is a good place to start – while mainstream letting companies such as Zoopla will allow pet owners to filter results to find a landlord who will welcome them. For both sides to be well protected, and for the upwards trend of landlords opening up their properties to pet owners to continue, it's worth referring to the Landlord Law Pets Agreement and Information, which suggests landlords take a larger deposit, agree that the property will be professionally cleaned when the tenant (and pet) leave, and ensure they have references from past landlords not just for the tenant but the pet, too. From the tenants' point of view, it's all about being a considerate, responsible pet owner. If you already own a pet, renter or not, find out the best ways to clean up after dogs and the best ways to clean up after cats.